The fire at an oil mill in Chandisar in Banaskantha broke out on Wednesday morning. Fire at an oil mill in Chandisar. 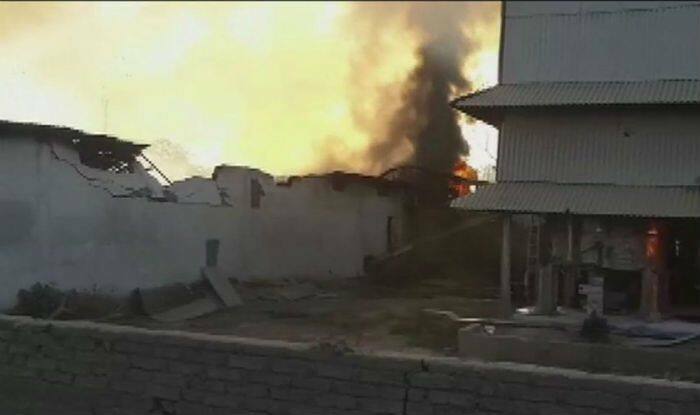 Ahmedabad: A major fire broke out at an oil mill in Chandisar in Banaskantha district of Gujarat on Wednesday morning. As per news agency ANI, fire tenders have reached the spot and are carrying out the firefighting operations. No casualties or injuries were reported till the time of filing this report. It is believed that the blaze erupted due to a short-circuit. However, the exact reason is yet to be ascertained. Last year in December, a fire broke out in an ONGC well during drilling in Padra, Vadodara. Fire tenders were rushed to the spot. No loss of life or property was reported in the incident. In November, a fire broke out at a building in Surat’s Vesu area. Over 50 people, including children, were left stranded inside the building where the incident happened. Reportedly, the building where the blaze started had a tuition class.